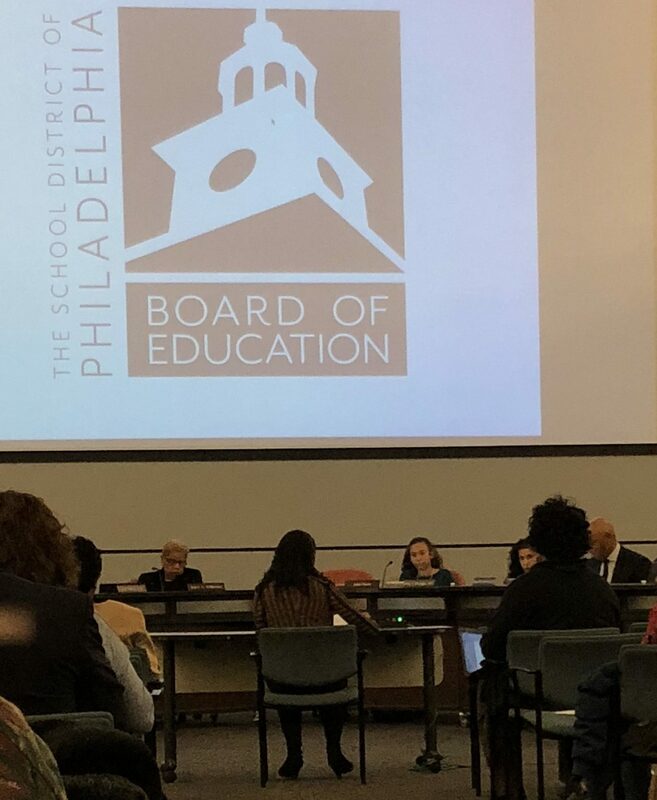 At the October 2018 action meeting of the Philadelphia School Board, ELC offered testimony supporting a proposal that would increase transitional training and support services for students with disabilities. Federal and state law require transition planning for every child beginning at age 14, including requiring school districts to provide every child with a disability with comprehensive services that will help them transition from school to post-school-life. ELC highlighted the need for additional transitional training and support services for Philadelphia schoolchildren with disabilities and highlighted the role of inadequate state funding and charters in impacting the district’s ability to provide these needed services. Reynelle Brown Staley testifying at the Philadelphia School Board Action meeting. View ELC’s full testimony here: October 2018 School Board Testimony.